The 5km race will be organized within the Jardin du Luxembourg, just outside the conference venue. Don’t forget your running shoes! Guided visits of the Museum of Mineralogy will be possible. 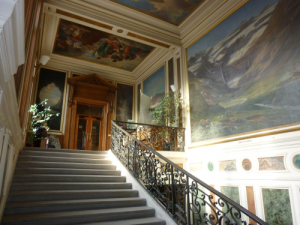 The Museum, located at the conference venue in the former Hôtel de Vendôme since 1815, ranks as the top collection in the world and serves as a constant reference for systematic mineralogy. Its specific activities are centred on its collections and stands as a milestone in mineralogical history. The conference dinner will take place on the famous Bateaux-Mouches on the Seine River.